There is one thing I’ve noticed that sometimes happens with people who write about narcissistic abuse. They become smug. Thankfully, I haven’t seen this scenario often, but I have seen it. No one in this position needs shaming, especially at this time. She needs understanding, compassion & information! She also needs time to let this newfound knowledge sink in before she can even think about making such a huge decision as no contact. Learning your mother is the abuser & you’re the victim rather than the other way around is a shock. It takes time to accept, & that is the first step in healing from narcissistic abuse. If you write about narcissistic abuse, there are times it can be frustrating when you’re speaking with someone in an abusive situation who isn’t making moves to protect themselves. Once you’ve been there, done that & found freedom from your abuser, you often can see what would be the best course of action for other people in similar situations to take. It can be very frustrating that they either can’t or won’t see it too. If you get angry or smug in those situations, you may be dealing with burnout or compassion fatigue. 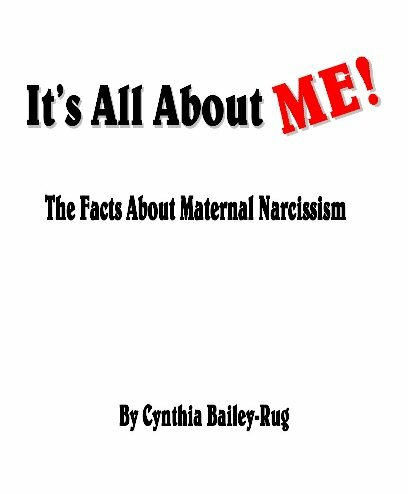 When you write about narcissistic abuse, you pretty much live & breathe narcissism. People tell you their stories, you do research, & you work on your own emotional healing. Chances are good you also have C-PTSD. 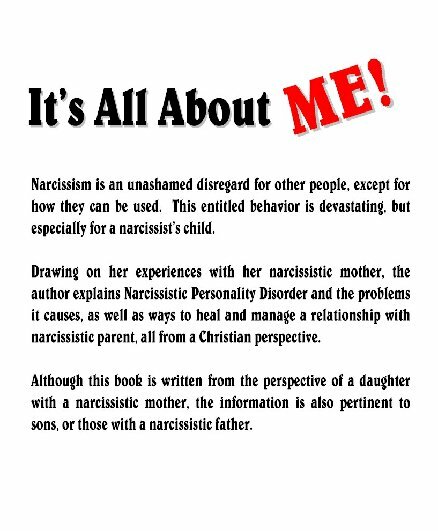 Narcissism is a huge part of your life & you get tired of it. Although you want to help people, sometimes you want to never think of this topic again. When people tell you their stories, you can feel indifferent to their suffering & their need for good information. That is a big sign of compassion fatigue. It isn’t that you don’t care. You do. You’re simply burned out & need a break. Compassion fatigue is common in helping professions such as those in the medical field, caregivers, counselors/therapists, or law enforcement. It’s very evident by how they interact with people. Have you been to a doctor who acts like you’re bothering him with your health concern or seen a caregiver in a nursing home who is testy with the patients? That is compassion fatigue. Thankfully, it’s fixable. When you realize that you feel burned out & even indifferent to people’s problems, it’s time to take action immediately. Take a break. I don’t mean 15 minutes away from what you do. I mean as much time as you can. If you run an online forum, find someone who you know you can trust who can watch it for a few days. If you write a blog, I highly recommend writing many blog posts that you can schedule to publish so if you need a break, your blog continues on as normal in your absence. If you’re working on a book, stop. Take time away from it. Once you’ve decided to take a break, spend your time doing things that nurture you. Pray, spend time in nature, snuggle your furkids, watch funny movies or listen to music. And, do NOT think about narcissism! If you have flashbacks, nightmares or intrusive thoughts, I know this is a challenge since those things have a mind of their own. If they happen, deal with them as usual & once that is done, resume not thinking about narcissism. Also, reevaluate your boundaries. You can’t help everyone- you aren’t God! That’s ok! Instead of trying to help everyone, pray with or for them. Remind them that they need to pray as well as read their Bible. Reevaluate how you spend your time. Find where you can cut back on obligations, & do it. This will give you more free time which is so vital to your mental health. Pray. Ask God to show you what changes you should make & how to make them. Ask Him to weed out the people in your life that aren’t good for you & that you’re not good for, so you have more time for those that are good for you. Writing about narcissistic abuse can be incredibly difficult, I know. It is possible though when you don’t neglect yourself. Good self care will make you a better writer as well as a happier person. Good afternoon, Dear Readers. I hope this post finds you well today! My new page on amazon! Good morning! Hope everyone is doing well today! young man loves to write, & Forrester helps him mold his craft. The story line is fascinating, the actors are amazing, but the gem in this movie is the writing advice. I just watched this movie Sunday for about the thousandth time.. lol I thought I should share it with you. Even if you aren’t an aspiring writer, it is a wonderful movie. I happen to love Sean Connery- never seen him in a role yet that I didn’t think he gave an amazing performance, & this was no exception. So check it out if you have a chance- you won’t be disappointed, I’m sure! I just wanted to let you know that my latest book is really coming along well. I reached my goal as far as pages yesterday- in fact, surpassed it by three. I should have it published very soon- I have to edit it, then design the front & back covers. That shouldn’t take long. Today, I am taking off to go to lunch with a dear friend, but I’ll be back to work shortly..
Have a great day, & a blessed weekend! Good afternoon, Dear Readers! I realized since my last post that I have something else to add to my last post of advice for writers.. when working on an emotional project, it is best to take some time off as needed. I have burned out a bit. This current book is very difficult for me, & very freeing at the same time. I have been very tired the last few days, & feeling rather empty. My husband made a good point- he said that since I’ve been putting so much into this book, that I am empty. I’m purging the bad, but not replacing it with anything good. Make sense? So, I am trying to think of ways to do just that. I’ve taken a few days off, for the purpose of goofing off & focusing on other things. I will get back at it soon, though. Might even do a little writing today- we’ll see! Have a blessed day! As if yesterday, the book is now at 162 pages! I don’t expect it to be a terribly long book- I’m aiming for at least about 180 pages. But, it should be a very good one nonetheless. Quality of the pages over quanity, yanno? Writing is work- never underestimate that. Just because you aren’t digging ditches for 80 hours per week doesn’t mean you aren’t working. Take care of yourself, & don’t work too hard. Learn your limits. Take breaks as needed to regroup- it will enable you to be more productive when you do write. Take you writing seriously. If you don’t, no one else will. It doesn’t matter if you have published 70 books or none- if you want to be a writer, it is a valid career choice. Set reasonable goals. I read somewhere once that Stephen King writes 2,000 words per day, every single day of the year. That is a very reasonable goal.. for him. I’ve learned that I don’t want to write every single day- some days, I want to goof off & go shopping with a friend or knit or just watch scary old movies. Some days, I have other things to do, like work on my car or clean my house or take care of a sick pet. Rather than beat myself up over that, I use his 2,000 words as a basic goal- on the days that I do write, I make myself have a limit of 2,000 words minimum. Some days, I write just that, & others, I write 7,000. Depends on the mood. If I’m only editing my work, there’s no goal for a word count. I also set reasonable goals for completing a book. When I first started writing my current book last year, I thought I could finish it fast. I had trouble with it, & became discouraged very fast. I couldn’t write for several months, & discouragement was partly why. When I started the book over again, & got a feel for how it was going this time, I set a goal to finish it by the end of this year. Realistically, I think it will be done much sooner, but if it isn’t, I’m still at my reasonable goal. Be patient & understanding with yourself. Don’t beat yourself up when writer’s block happens. It happens to everyone, even the greatest authors. Remember, quality over quanity. Better to write 2 great books in your career than 1,000 mediocre ones! Or, better to write books of 150 pages that are amazing, than 900 pages of trash. Be true to yourself- write what you are comfortable with writing. Fiction or non-fiction, if you are comfortable with the topic of your book or article, it comes through, & makes people interested in your work. Inspire yourself. Whatever inspires you to want to write, focus on it as much as possible. Lastly but most importantly, I pray before I write every time. I ask God to help me create this book for His glory & to help many, many people. I also invite Him to help me write. Doing that helps me write easier & better. I also want to apologize to everyone for not keeping up with blogging. I’m not particularly good at it, plus lately, I have been experiencing many personal and family problems that have kept me from working. Long story short, I believe I have Complex Post Traumatic Stress Disorder. (I say believe because I have not been to a counselor) Finally I know what is wrong! It gives me hope- after all, you can’t fix a problem if you don’t know what it is! God bless you, Dear Reader. Thank you for always being there! Filed under Welcome To My Blog!